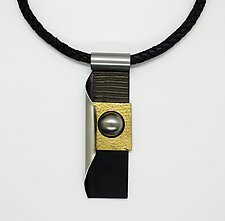 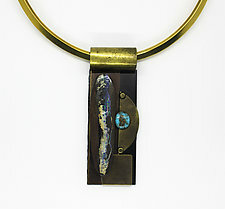 "In the same studio where I build sculptures, I now construct contemporary jewelry. 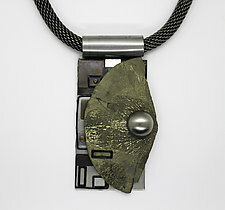 I have altered the scale of this work so it relates to the human body." 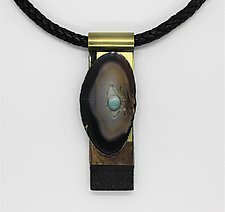 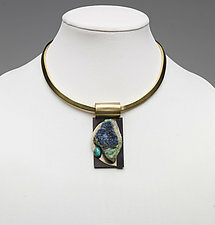 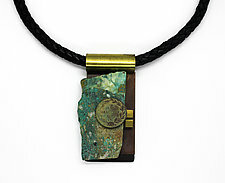 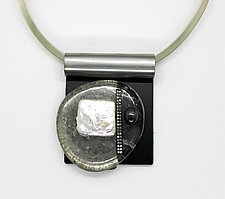 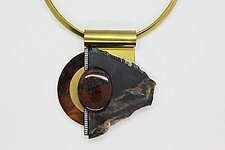 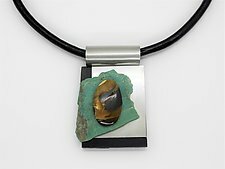 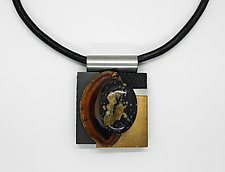 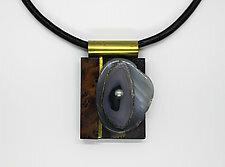 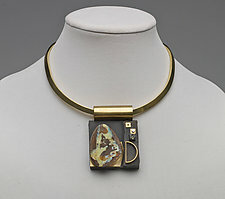 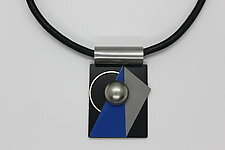 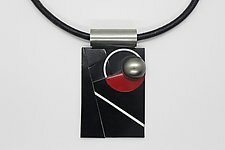 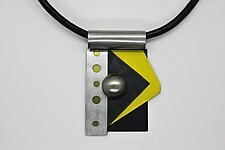 In her jewelry, Shirley Wagner continues a lifelong interest in texture and relief. 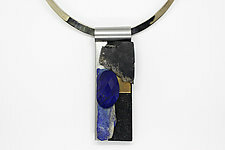 She brings parts and pieces together to build form. 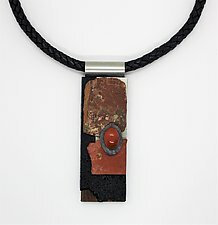 To do this, she relies on the inherent character and subtle nuances of the found object. 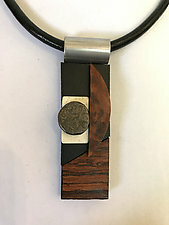 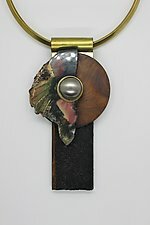 Found materials such as repurposed wood and recycled metal have always been the mainstay of Shirley Wagner's work. 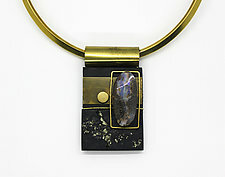 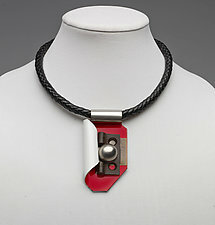 Pushing the boundaries of contemporary jewelry, she has introduced unusual and unexpected materials to this mix. 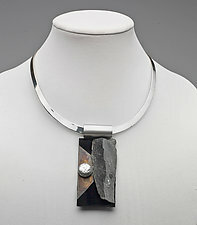 She relies on layering of materials to build form. 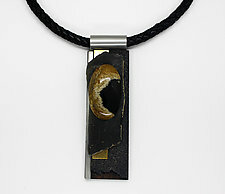 She then forges a handmade bail of stainless steel or brass and engraves her signature on the back. 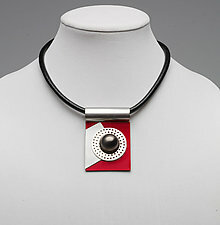 Shirley Wagner graduated with a fine art degree from Youngstown University in Ohio. 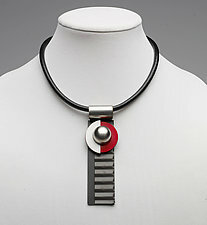 Her work has been widely shown in Arizona, including at the Mesa Museum of Art and Tucson Museum of Art. 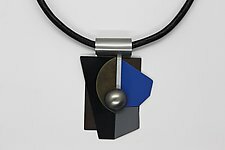 She has also been nominated for the Governor's Art Award, recognizing her contributions to the arts in Arizona.